I'm sure some of you have heard and seen at least 1 of their statistics. 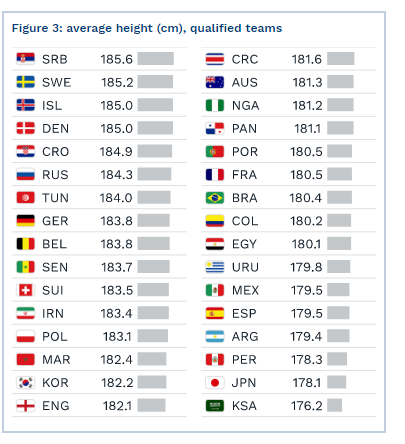 Its a football observatory and they post all sorts of interesting stats. Relevant? Debatable. Interesting for sure though. Here are some for the World Cup. 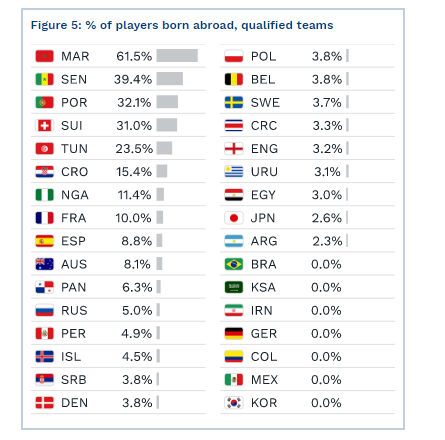 From a Peru point of view, these seem accurate, although players born abroad at 4%? There were a few but they are not on the NT anymore. That got me seriously thinking. 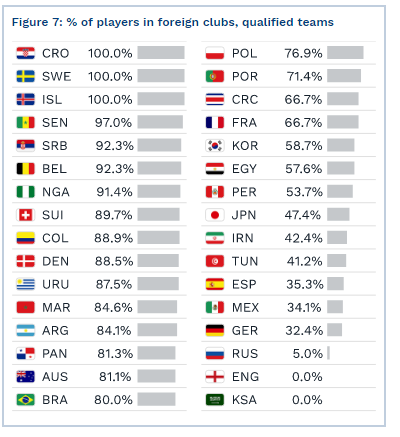 One reason why England won't/don't perform that well at major tournaments - the lack of players playing abroad. The fact it's at 0.0% speaks volumes. 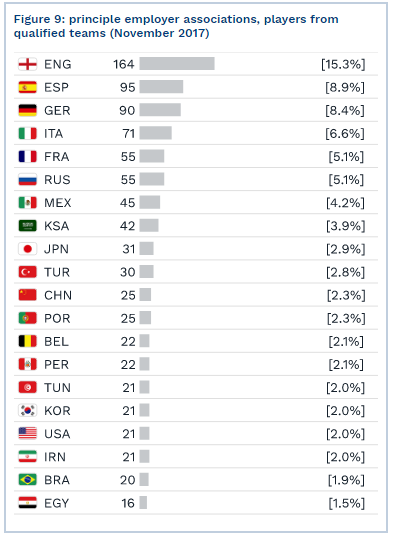 Germany is next biggest team but lowest percentage, but relatively 32% is still high. I'm curious how is that related to performing well at major tournaments though, especially considering the success of the Premier League? 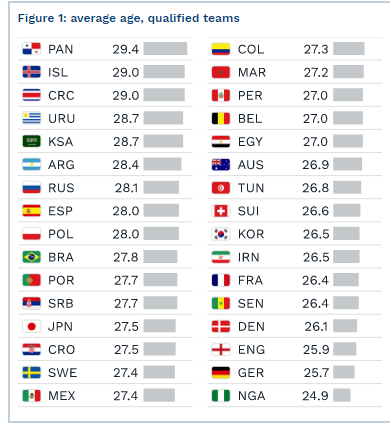 Do you reckon that spending a few seasons abroad is beneficial for broadening players' perspectives and making them more complete on and off the pitch? I mentioned this to Danny several times but I think one of the big problems in English football is the reluctance to accept that other football nations have different traditions. However, I do think that English players should go abroad due to the fact that the PL is a joke at developing players, especially the English. They aren't taken seriously enough and these teams are more focused on marketing the club for a foreign audience. I think Dier made a really smart decision in going to Portugal. I believe it to be somewhat beneficial, yes. Understanding first-hand how the game is played at a different level and different way of playing. Any stats for how good sides are at kicking the ball into the goal, seeing as, ultimately, that's the only stat that matters come the final whistle?